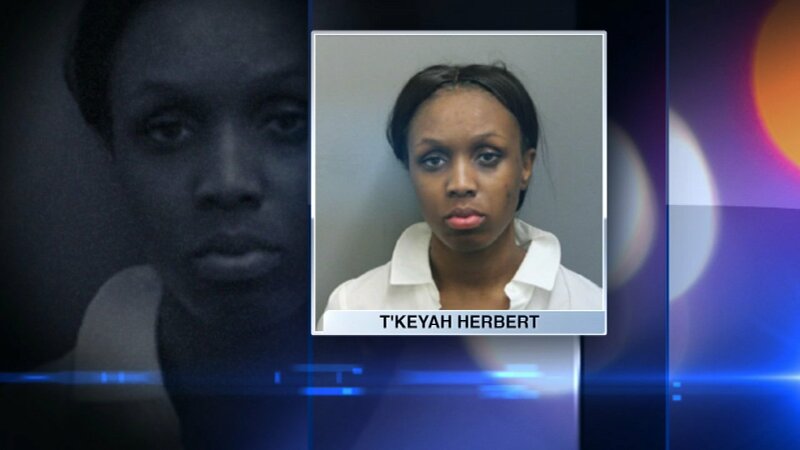 CHICAGO -- A Chicago woman has been charged after police said she held up stores with a stun gun. Police said T'Keyah Herbert is connected to three incidents within the past month, and she targeted the same store twice. On Dec. 26, police said Herbert entered a department store at about 8 p.m. and grabbed merchandise from a display and fled without paying. She entered the same store on Jan. 9 at about 2:53 p.m. while armed with a stun gun, police said. After being confronted by security, she fled and left the stun gun behind, police said. Police said Herbert entered another department store at about 3:15 p.m. last Wednesday. She then got into an argument with employees and took out a stun gun and threatened them with it, police said. She took merchandise and fled. Herbert was taken into custody last Thursday and faces felony charges of armed robbery with a dangerous weapon, retail theft over $300 and a misdemeanor charge of aggravated assault, use of a deadly weapon.